The new line of Porter Cable tools tries to impress on the home center shelves with its angular looks. When I first saw the PCCK600LB, Porter Cable's new cordless drill/driver, I was worried the designers chose form over function. Never allowing an uninformed opinion to stand, I had to get this drill/driver into my shop. Let's take a look at what the Porter Cable PCCK600LB can do besides look good. 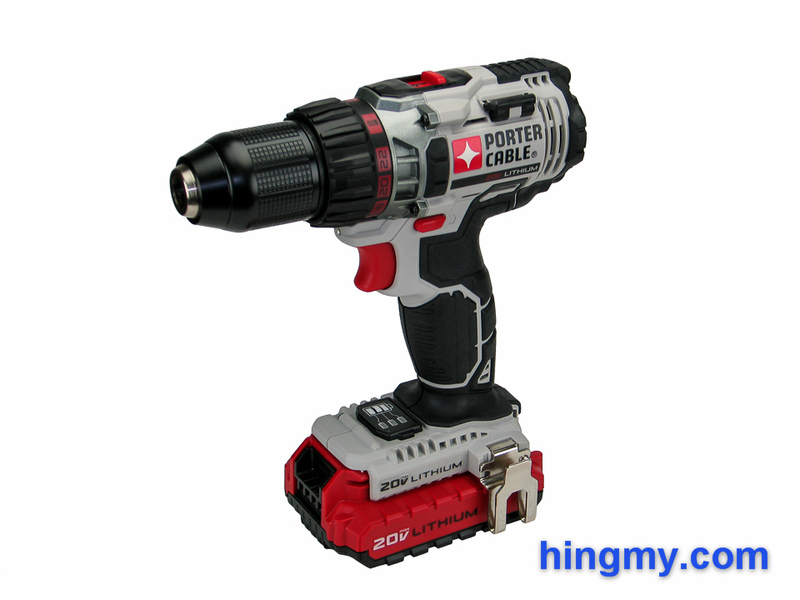 The PCCK600LB is a general purpose drill/driver from Porter Cable. Built for commercial use it comes with all the features necessary to survive on the job site. Its design has too many sharp edges from my taste, but the PCCK600LB is undoubtedly a good looking tool. It is well built too. There are no misaligned or moving parts anywhere on the body. All metal and plastic parts appear to be engineered to last under heavy use. Porter Cable does not provide any performance numbers for the PCCK600LB's motor. All we know is that the motor tops out at a very pedestrian 1,600 rpm. Our load tests indicate the motor's torque output lies somewhere in the middle of the pack, neither managing to impress or disappoint. Should you ever have to replace the motor brushes, you'll have to disassemble the drill/driver. The brushes are not easily accessible. The PCCK600LB feels noticeably nose heavy in your hands. The metal gearbox and chuck weigh the front of the tool down. When placed on its side the tool rests on the middle bumper and the chuck. The rear bumper is in the air. In use this issue does not amount to much. Accurately positioning the drill is still easy enough, but the PCCK600LB's handling is not that of a tool with neutral balance. The PCCK600LB's only drawback is its low torque motor, which causes it to shake when the work gets tough. The sharp edges of the battery get in the way of anyone who likes to use the bottom of their drill/driver as a mallet. The battery will leave dents in most surfaces it bumps into. The trigger of the PCCK600LB is very precise. Selecting and holding a specific speed takes little effort. The first and last quarter of the trigger's range are dead space. This error turns what could have been a great trigger into merely a good one. The through-the-body style direction selector switch located just above the trigger is basic, but works well. It moves in and out with ease and registers with a faint, but noticeable click. Well positioned the switch makes direction changes effortless. The gear selector switch at the top of the tool moves back and forth with authority. It can be difficult to actuate while wearing gloves, but there is never any doubt if the switch has reached its terminal position. Porter Cable manages to innovate by adding two magnetic bit holders to the tool. The magnets hold bits better than any plastic solution that depends on a friction fit. Inserting and retrieving bits take no effort, since there is nothing in the way of your fingers. If you are like me, years of having to use poorly designed bit holders has turned you off the concept completely. These bit holders are so good, however, that I'd like to see them on all of my tools. The all-metal chuck of the PCCK600LB could easily be used on a much more expensive tool. It is machined very precisely and there is no indication of runout. The metal cover spins around the clutch in a perfect concentric circle. Securing a large bit in the chuck still take some finger strength, but in low gear the operation is manageable. The chuck will hold all but the most stubborn bits without the operator having to tighten it down excessively. The work light located just above the trigger produces artifact free, bright white light. The chuck gets in the way of the light at all distances shrouding the impact point in perpetual darkness at all distances. A light squeeze of the trigger turns the light on without engaging the motor. Releasing the trigger turns it back off again. The design of the work light can be made to work in most scenarios, but it is far from the best example in the industry. The 23+1 position clutch is well engineered. Each one of its positions is meaningful and distinct from its neighbors. Setting #8 produces enough torque to sink the head of a 3 inch screw below the surface of construction grade lumber. This leaves a remarkable 15 settings for even tougher work. The rapid ramp-up in torque of this design makes the lower range of the clutch hard to use for fine work. The implementation of the battery gauge on the PCCK600LB show a lack of attention to detail on the part of the design team. Built into the battery mount just below the grip the gauge uses three red LEDs to indicate the battery's charge level. Dormant by default a membrane covered button brings the gauge to life. Pressing the button properly can be difficult, even bare handed. Even if you manage to turn the gauge on, chances are it will be stuck on two lights. The other two levels only appear for a short while after installing a new battery, or seconds before the battery dies. When you are standing at the bottom of a ladder wondering if the battery will drive the dozen screws you are holding, the battery gauge will not be of much use to you. The plastic case included in the kit has room for the tool, the charger, two batteries, and a few drill bits. Internal compartments keep everything separated. The case is square on the outside for easy storage and water resistant to protect its content from light rain. The case works well as an individual solution, but compares poorly to the new generation of stacking tool cases. If you plan on using this drill on the job sites, you are better off investing in a separate tool case that is part of a larger system. The results of our tests confirm that the PCCK600LB is a very capable drill/driver. In top gear it drills holes fast enough to place it in the commercial category. With small bits in particular the PCCK600LB performs nearly flawlessly. While the leaders in this category are not much faster than the PCCK600LB, they are more stable while drilling. The PCCK600LB depends on motor speed rather than torque to drill holes. When using larger bits this causes the drill to kick and shake excessively. The issue is manageable, if you only have a few holes to drill. Regular users should look elsewhere to avoid wrist injuries from repetitive use. As a driver the PCCK600LB is nearly as good. 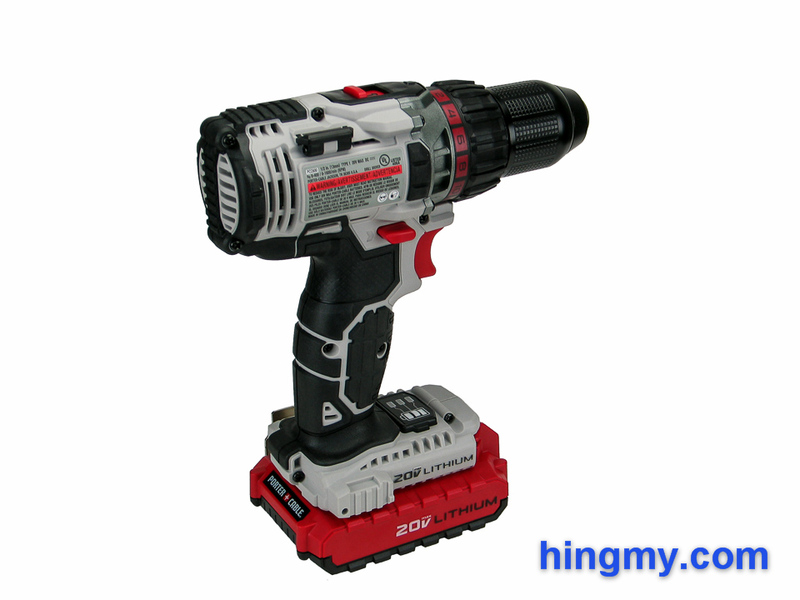 It is powerful enough to sinks three inch screws into construction grade lumber in top gear. The well engineered clutch makes working with fasteners that are typically used for stick-frame construction very easy. There is a setting for sinking just about any fastener. Working with smaller fasteners, on the other hand, is a hassle. The PCCK600LB is too large and its clutch too coarse to compete with the leaders in this subcategory. The low torque issue rears its head when driving large fasteners as well. The drill/driver bucks all the way; sometimes violently. The operator needs to stead his or her grip to complete the operation. If you drive just a few screws with this tool, you'll never notice this issue. On a large deck project your forearm will start to hurt 50-100 fasteners into the workday. Endurance is fair thanks to the average 1.5 Ah Lithium-Ion battery. The tool places in the middle of the pack in our drilling and driving endurance tests. In most cases two batteries along with a single charger are enough to operate the PCCK600LB continuously on the job site. Under heavy use the gear housing heats up noticeably, but the grip stays remarkably cool. 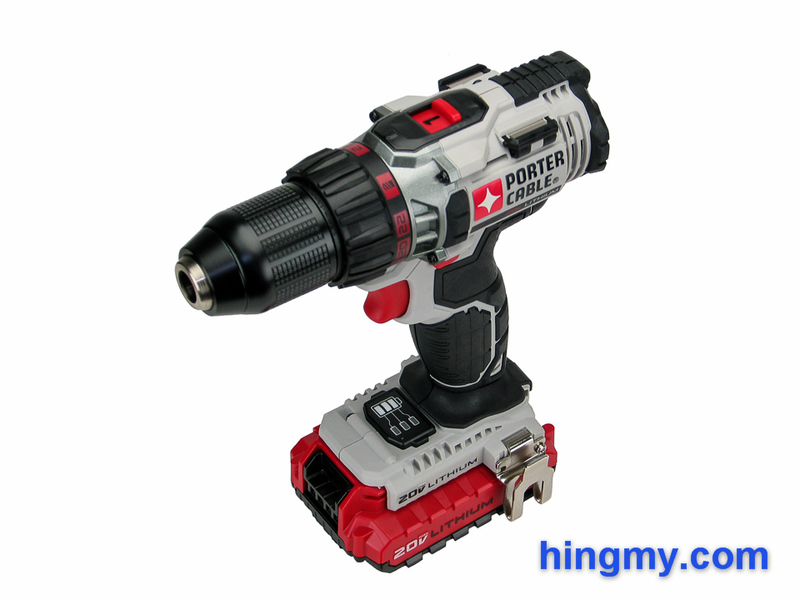 The tool is clearly strong enough to complete heavy-duty projects like a deck build, but Porter Cable does not rate this drill/driver for continuous industrial use. Carpenters and professionals who measure a workday in dozens of holes drilled will like the PCCK600LB. Anyone who buys fasteners by the bucket, or drills holes by the hundreds should look for a more durable tool. On a per-operation basis, however, the PCCK600LB performs very well. You'll get professional results at a fraction of the price. The PCCK600LB is part of the Porter Cable 20V battery system, a very recent addition to the Porter Cable lineup. The line includes a tool in just about every category, but you won't have the options some of the competition offers. The battery itself is a good one. At 1.5 Ah of capacity it falls inline with the competition. Should you need more capacity, you can upgrade to the 4.0 Ah version. 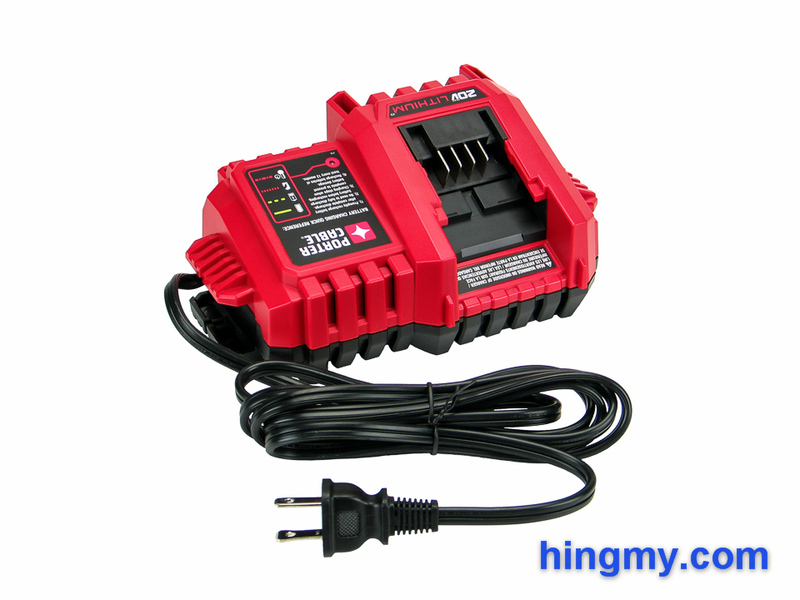 The included charger restores a dead battery in about 20 minutes. You'll be able to run most tools in the lineup continuously with a two battery setup. The Porter Cable PCCK600LB is a great tool with only a couple of weaknesses. It drills holes at speed and drives long fasteners. The excellent clutch and all-metal chuck give this drill/driver the feel of a much more expensive tool. In high torque situations the tool's low torque leads to vibrations finding their way into the operator's hand. Carpenters, plumbers, and trade professionals who measure their work day in dozens of holes drilled or fasteners driven will be perfectly happy with the PCCK600LB. Heavy users should probably look elsewhere. The low price of the kit version makes the PCCK600LB an excellent choice for homeowners. This is a tool you can build a deck with at a price not much more expensive than an entry level drill/driver. The PCCK600LB drill/driver is a good tool.